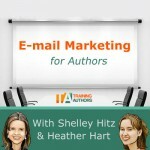 E-mail marketing has been one of our most successful book marketing strategies and for years we have used Aweber to build our lists. However, we now use TrafficWave exclusively. We took the plunge and made this huge change. Why? Well, in this post we are going to share with you why we made the switch, the main differences between Aweber vs TrafficWave and how to get started with e-mail marketing. Having an e-mail list is one of the strongest marketing tools that you can have. We use them to connect with our readers, customers, and other authors. This is a way to build trust with them and also let them know about special promotions and offers. Because of that trust, we have seen direct results during promotions in sales spikes after e-mails were sent. However, choosing the e-mail list provider that is best for you can be a bit tricky. There are dozens of companies that provide e-mail list management – and they all have their ups and downs. One of the most recommended/well-known companies is Aweber – and we use to use them to manage our e-mail lists for over 2.5 years… but not anymore. 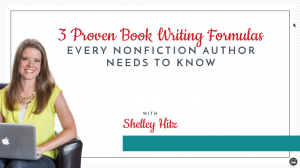 UPDATE: Shelley is now using Getresponse for her list on ShelleyHitz.com to have more features and automation. As we began to have success with e-mail marketing, our subscriber lists grew. To be honest, we had thousands of subscribers on multiple lists. Some of our lists were for business, but a majority of them were for ministry where we offer free resources, encouragement, etc. Aweber charges a monthly fee and that fee increases as your subscribers increase. We soon realized that our costs were going to skyrocket because our lists were rapidly growing. Now don’t get me wrong, that is actually a really good problem to have! However, we knew that our budget couldn’t afford to grow with our lists. For us, our business was just starting to grow. And honestly, our main focus was (and continues to be) ministry and helping others – not just on making money. So, if we could accomplish our goals with e-mail marketing without the increasing fees, we were interested. Obviously, the growing monthly cost for Aweber was the main reason we started looking for other options. We knew that we needed the ability to send broadcast e-mails as well as autoresponder messages to multiple lists in multiple niches. That is why in May of 2012, we started to switch our e-mail lists over to TrafficWave. Immediately, we were able to save about $100 per month because with TrafficWave, we can have unlimited lists, unlimited subscribers and send unlimited e-mails, all for one set fee of $17.95 – forever. It took just over a year to completely transfer ALL of our lists from Aweber to TrafficWave, but we are now saving over $150 a month as a result. And that savings will continue to grow as our lists grow. After using TrafficWave for over 16 months, we have been satisfied with the service they provide. We do agree that Aweber is the best in the industry. We were satisfied with their service (especially their customer support) and loved most everything about them, except the price. Aweber vs TrafficWave – they are similar platforms, but there are a few differences. We have used both platforms extensively and so will share with you the real differences we have found as well as the benefits of each. Both allow you to send autoresponders and broadcast e-mails. Both platforms offer HTML and plain text e-mails. Both offer templates that you can use. Aweber has better built-in tracking. TrafficWave tracks open rates automatically, but not click through rates. They do have an option to use trackable links – but there is an extra step you have to take for that. Another major difference is the support that they offer. Aweber’s support is phenomenal. They have phone support and are willing to help you work through any issues. TrafficWave, on the other hand, only has e-mail support – they do provide a lot of online tutorials as well as forums though. Finally, with Aweber, we have found that more than one person can be working in the account (i.e. you and your virtual assistant). However, with TrafficWave, only one person can be in the account at once. Therefore, if Heather and I are both working on something in TrafficWave, one of us will get bumped out of the account and we have to wait until the other person is finished. It is a small annoyance, but worth it with the money we save. We have found that for the most part, TrafficWave’s interface is easier for us to use. Plus, we can still use custom or HTML templates. And as we already mentioned, Aweber’s prices grow as your subscribers grow whereas TrafficWave is one set fee ($17.95) for unlimited subscribers, lists and e-mails. 1. Choose something to give away for free. 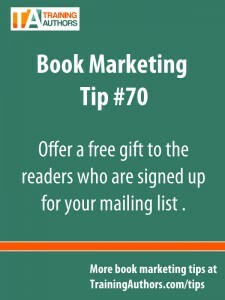 Giving your readers an incentive for signing up for your e-mail list is essential in helping it grow. This could be a free PDF of your book (or even just the first chapter), a short story or report, or something entirely different. It’s completely up to you, but offering something will help your list grow. You can register for an account with TrafficWave, Aweber or do your own research and see what company will work best for you! 3. Add a welcome message to the list and schedule it to automatically go out to new subscribers – make sure it includes their free gift. You have to actually deliver what you promise. We upload our free goodies to our Amazon S3 account and include a link to download them in our welcome e-mail. You can also use this message to let them know what to expect while being on your mailing list – how often you will contact them, what you’ll be sending, etc. 4. Add a signup form on your website. Once you have your list set up and ready to go, it’s time to start getting followers! While TrafficWave does give you a page on their site where you can send people to sign up for your list, we recommend creating a page on your own website where your following can sign up. On this page you can highlight the free gift they will get when signing up. 5. Start promoting your list. Now you’re ready to start promoting. You can promote the page you set up on social media by highlighting the free gift. 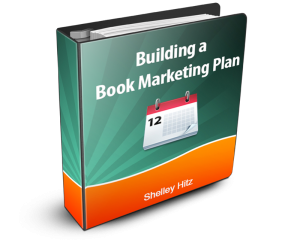 We are so glad that we started a list years ago as it has been our #1 most effective book marketing tool. Here are four ideas for how to set up your autoresponder sequence within your list. E-mail marketing really does work. Therefore, we encourage you to try TrafficWave’s 30-day FREE trial today to get started building your lists. If you choose to sign up to TrafficWave via our affiliate link, you will get our 20-page PDF report, “E-mail Marketing for Authors” ($17 value) for FREE. Simply enter your information in our form here. The price of Aweber gets most people. If you’re NOT a for profit business then the added costs are really not justified unless like you like losing money. I briefly looked at Traffic Wave a couple of years ago, but I’ve been using Get Response for the past few years and I know getting people to subscribe again would cost me subscribers and that’s a risk I’m not willing to take – at least not at this moment. Your article was very informative in telling the pros and cons of each service. Keep the great articles coming! You’re so right that Aweber works best for businesses that are for profit as it is the best in the industry with the highest deliverability rates, etc. And I’m not advocating that everyone switch from their current provider. If you already have someone you use that is working well for you then that’s great. I simply wanted to share why we decided to switch ourselves. Great information. I left Aweber for the same reason. Too high! It’s too high when you’re just starting out–like I am–and too high when your list grows–like you are. I wish I had discovered Traffic Wave. Instead I went with Vertical Response because you only pay for the number of emails you actually send. In that respect, it is easier for those just starting out, but of course will have the same problem as Aweber later on. AND they have only one thank you message, no series of automated response emails like Aweber does. So true! That’s a bummer that Vertical Response doesn’t have autoresponders as that is one of the main ways we use e-mail marketing. TrafficWave isn’t perfect but it fits our needs and we have been happy with it. I use the free version of Mailchimp. But I don’t have more than 2,000 subscribers — the point at which they start charging. How does pay version of Mailchimp stack up againt Traffic Wave? So, personally, I would have had the same issues with MailChimp that I had with Aweber in that once I had over 10,000 subscribers, I would be paying $150 per month. It seems to me that when I switched from Aweber to Vertical Response that I could upload my list to them and assure them that they were already double opted in subscribers. Did you not get this opportunity with Traffic Wave? I’m with Corrisa–not anxious to risk losing the hard-won list I have. With TrafficWave you can import your list, but your subscribers still have to confirm to be added to the list. I did just send TrafficWave a support request asking if they would be able to completely transfer a list for a TrafficWave member if you gave them the log in information to both accounts to prove that the list was a double opt-in list. I know Aweber has done this for me before. So I will let you know what I find out. Personally, in my case, I started a new list in TrafficWave for my self-publishing-coach.com site over a year ago. I then transferred almost all my other lists from Aweber to TrafficWave at that time except my previous self-publishing-coach.com subscribers as I have an autoresponder system that they go through and there was no easy way to import them into a new list without messing up that system. Therefore, I waited until they were all through the autoresponder messages and then decided to import them into TrafficWave. I do realize that I will lose some subscribers and at this time am willing to take that risk. In addition to saving the extra money, this is a way for me to weed out my list to those who truly want to continue to hear from me, learn from me and stay connected. In the end, I’m not advocating that everyone switch e-mail providers. If you have a company you like and that works well for you, great. But, if you are just getting started with e-mail marketing, then I do recommend using TrafficWave for the reasons stated in the blog post. Please let me know what you find out from Traffic Wave. I have a small list so far, but I figure it would be better to get it switched over before it gets more complicated. And I would like to have the auto-responder message feature. I am just starting out and dont use any thing at the mo….so pardon my ignorance when I ask if google Yesware add on does the same as the systems above? Roy, I’m not familiar with Google Yesware. TrafficWave and Aweber are e-mail marketing tools that allow you to build a targeted list of e-mail subscribers. Shelley, thanks so much for this insightful post. I wonder, in your investigation of your options, if you explored more robust email marketing/CRM systems, particularly Infusionsoft and 1ShoppingCart, both of which I see recommended often. 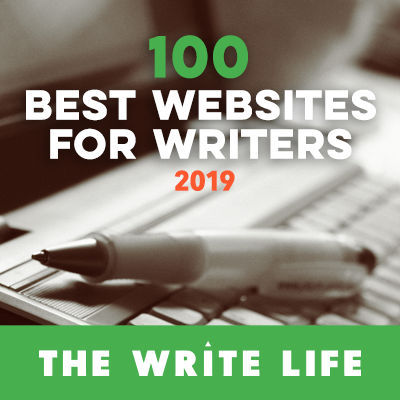 If you have any thoughts to share on those, I’d be very interested in hearing them–and I’d love to know, besides unlimited emails and autoresponders, how TrafficWave compares. We have built a couple of hundred email addresses and now I don’t know if I should enter them onto my MacMail or my Contacts or if I need to sign up with an outfit like TrafficWave and enter the email addresses there. Sam – it is best to send mass e-mails out with an autoresponder system of some kind, like TrafficWave. I am so glad I finally broke down and paid the monthly fee for an e-mail list provider. It then motivated me to begin focusing on building a targeted list and setting up an e-mail autoresponder system that helps market for me 24/7. But, you really have to do what works best for your budget. I did try Traffic Wave free and decided that it was not for me. Traffic Wave in my opinion has a lot of catching up to do when it comes to design, user friendliness, features and customer service. It leaves so much to be desired for a serious for profit marketer. I like both Aweber and Get Response. They’re the ones I’ve used and I believe in paying the money for the service that best meets your needs. 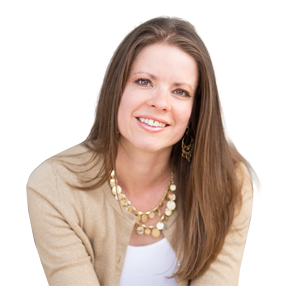 Yvonne – we realize TrafficWave won’t fit everyone’s needs but it has worked great for us. The biggest drawback is the customer service. That’s why we also still highly recommend Aweber as well. They have amazing customer service and we were always happy with their product. I switched from Aweber two years ago for the same reason: cost! I now have over 25,000 subscribers, and would be paying more than I can afford per month. Sure, TW has some kinks, but I’ve learned to work with/around/through/insert another preposition them, and get things done. Of course, there are days when I miss the flexibility of Aweber (capitalizing the first letter of the first name!) or the beauty of MailChimp or another mailer. But, it’s very hard to argue against the constant, never-changing rate of $17.95. Dear Shelley – thanks for your post. I switched to TW 2 years ago from Aweber, and have been pleased overall. Although I miss some of the bells & whistles of Aweber, I *don’t* miss paying $150/mo, which is where I would be right now with a list of 20k subscribers. The biggest problem I have with TW has been its inability to capitalize the first letter of each person’s name. This has been a sore spot of mine for a couple of years. Amazingly, while typing this message, I realized that I can have a VA on fiverr spend 3 hours fixing this annoyance for $5. I’ll just need to keep up with the maintenance, and I’ll do that monthly going forward. Thanks for your post — it’s good to see other serious professionals who use TW. FYI, It is April 6, 2014 and I tried to sign up with Trafficwave for the $17.95 forever payment but was a bit confused.I think in your articles here and on the site it seems as if this fee is paid only one, instead of just once a month, monthly without increasing as your subscriber lists increases! Yes, it is $17.95 per month. Sorry for any misunderstanding. Thanks for the post. It’s very helpful. I want to use a mailing list for ministry. My plan is to start out using MailChimp, since it’s free for up to 2,000 subscribers. If I ever go over 2,000, then I plan to switch to TrafficWave for all the reasons you give. My question is: Is my strategy viable? Will it be easy or hard to transfer my list of 2,000 subscribers from MailChimp to TrafficWave if and when that time comes? You can definitely import opt-in lists to Aweber as I have done that before. You just contact their support and they will do it for you as long as it is a legitimate list. However, this option is not currently available with TrafficWave. For this reason, I recommend starting with TrafficWave. Otherwise, you’ll end up paying more once your list grows or have to transfer your subscribers and lose some in the process. Thanks for this great comparison. I have been trying to decide on which autoresponder service to use. Lately, I’ve been leaning towards Traffic Wave. I’m glad their deliverability is as good as Aweber. With TrafficWave can you send emails and newsletters from separate websites or email addresses or businesses or just one? I am currently using godaddy and wondered how they compare and if the HTML format emails well. Yes, you can set up different lists for different websites. I have a ton of lists in my account and for different parts of my business. Can the lists be sent emails from a different business name and email address. I currently use godaddy and it appears there you can just have one business name and email address if I understand correctly. Your name and return email address can be different for each list. And each Campaign CAN-SPAM Business Name and Postal Address can be different as well. Great post. I have used a week now trying to decide between Aweber and Trafficwave. It’s really difficult to choose. I’m new in this email marketing business and I have heard so much great things about Aweber, but I don’t like their pricing. The TrafficWave deal sounds better, but their site design doesn’t look very modern if you know what I mean. I’m sure they have a great service anyway, but these days your mind interpret “nice design” as “serious solition”. And I like that you can access their affiliate program right away when you pay. I think you have to apply on Aweber? I’m Norwegian, so my only concern is this physical address CAN-SPAM law. I don’t really want to add my Norwegian address to emails, but maybe I’ll just have too. Do you know any other solutions? Like having an US postbox or something? I use a PO Box. I’m not familiar with your country but if you can get something similar that would be helpful. I’m really glad I found this site. It looks like TrafficWave is the way to go. I really appreciate the tips you included in this article to begin building a list and the way you demonstrated how TrafficWave works with free marketing plan offer. Glad you found the post and tutorial helpful! I agree! Traffic Wave is the way to go overall. When you are apart of a great team that make’s money with Traffic Wave it is a blessing. Darius – did you check out the video tutorial on this page? You did everything almost correct in sending email with your personal review. You had a video preview which is correct and good way to go. You have to check your video emails to see that the video preview works. The video worked on your preview but not the audio. So anyone looking at the video will find it worthless unless they are deeply interested in the product and will buy it anyway through your links so you get affiliate credit. I at the moment do not need the product to tell me what is successful as I have other keyword software that will niche down and analyze this information. 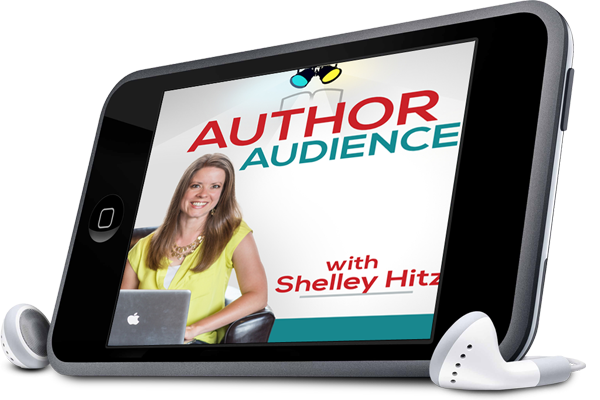 The successful authors have developed their brand name and trust so they can sell a quality product on Kindle. To me it would be more important in material on putting together non-fiction and/or fiction material to compete with them. Putting together a quality Kindle product in a better niche area takes the same amount of time and with reviews and promotion can offer a better ROI. Hiding your head in the sand with low competition low paying keywords to me is a waste of precious time and energy. One think I don’t like about trafficwave is that they add my private email address I used in opening the account to footer of messages I sent out. Even when I have email address that is already at the footer. Another thing is that there is nothing like list segmentation. You can segment your list based on subscriber’s activities and interest for better targeting. Yes, I’m now using GetResponse for my author lists to have more features but still use TrafficWave for my other lists. it’s been awhile now since these post. so what’s your thought on it now with Traffic Wave for internet marketing? Have TW change? I still use them for some of my ministry lists. They are making updates and improvements and have a trial if you want to check them out. I’ve been with Aweber for such a long time that I’m a bit hesitant to switch. I’ll definitely consider switching now that I’ve read the information you’ve given here. Thanks! It is a big decision. But, I still use Trafficwave and am happy to say they keep adding new features without increasing the price!